"EIGHT PLANETS AND COUNTING" OMNI DOME SHOW! We're offering an updated version of the "Eight Planets and Counting" program! Humanity's knowledge of the solar system has changed dramatically within the last few years. As we know the International Astronomical Union has demoted Pluto, but astronomers have also found an array of other bodies, called "Trans-Neptunian Objects." The omni-dome "Eight Planets and Counting" program guides you through the solar system: from our parent star, the Sun, out to the realm beyond Neptune. Along the way, we'll visit each of the eight planets in turn, we'll explore the Moon, and we'll fly through the asteroid belt. 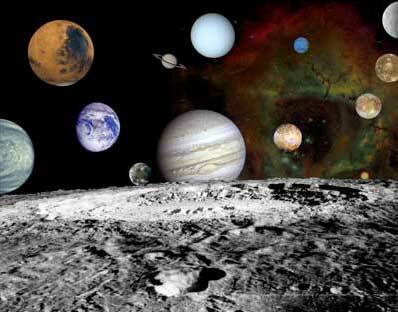 Join us for this fantastic full dome odyssey through the solar system!